Find out more about Pokemon: Let's Go, Pikachu!/Let's Go, Eevee! 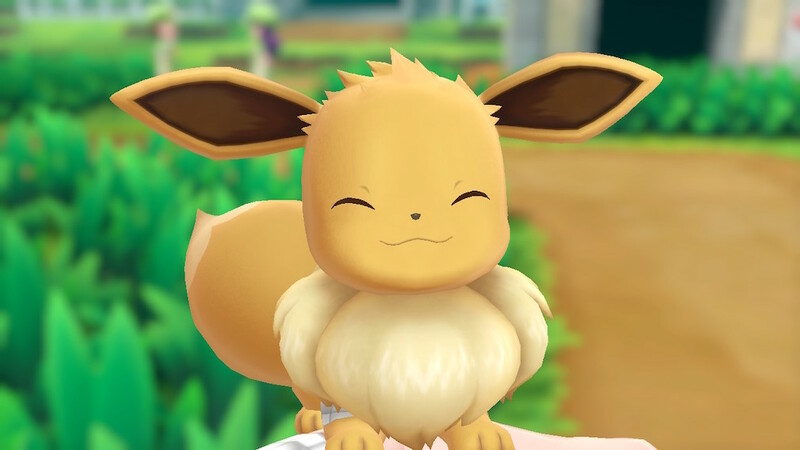 Whether you're familiar with it or not, Pokemon: Let's Go, Eevee! is a game faithful to its Pokemon Yellow inspiration. You set off on a journey, catch and battle Pokemon, and work towards taking on the Elite Four. Well, that's the idea from half an hour of play, at least. Put time into it and you roll past any idea that the game doesn't have much more to give. Put enough time into it, and you start peeling back all sorts of delicious layers and find out that, no, it's not just a really expensive version of Pokemon GO. 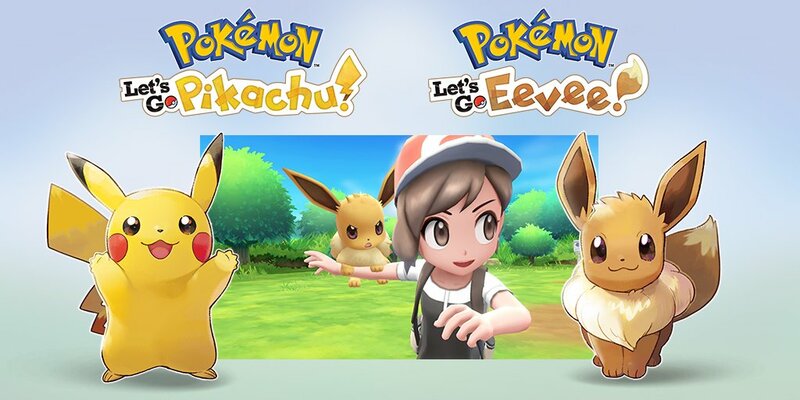 In this Pokemon-catching RPG you play as a young Pokemon trainer looking to make their mark on the world and, depending on what copy of the game you bought, end up with either Pikachu or Eevee (in my case, Eevee) as your Partner Pokemon. These guys will ride around on your shoulders when you're walking about, guide you to hidden goodies, and allow you to perform special moves in battle if you've given them enough love. Playing with your Partner Pokemon is an important feature. The more you do this, the more you'll bond, and it's oh-so adorable. When giving them a pet or berry to chew on you can use a wide range of motion controls, though using the touchscreen in handheld mode feels the most comfortable. 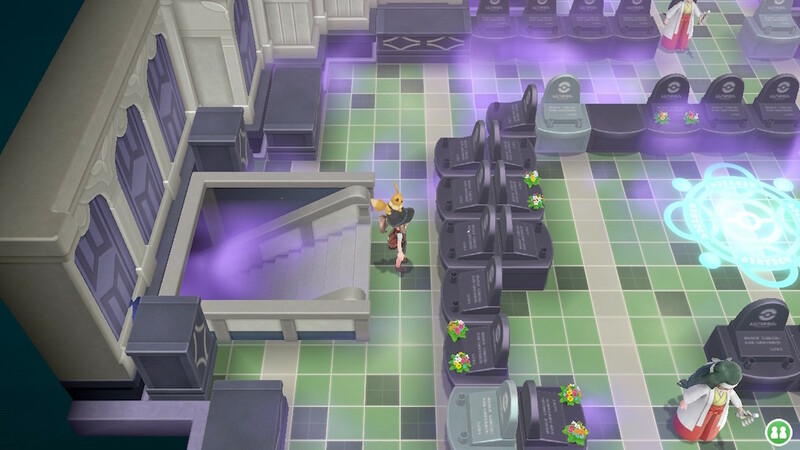 Each city you visit has the same places of interest, like the Pokemon Centre where you heal your Pokemon, and the general store where you pick up supplies. Getting to and from each place you have to battle tons of trainers, as well as stumbling through patches of ground teeming with catchable beasties. Though the process does grow a bit tired, especially when you're encountering lots of trainers one after the other, it's a great way to earn Pokeballs and in-game cash without much fuss. You can also find items dotted about the maps like Revives, Berries, Stardust, Potions, and Candies. Capturing wild Pokemon has changed up a bit from the older generation, leaning more on the GO method of using berries to calm them down and sheer determination to bag yourself a big one. You also have the usual variety of Pokeballs, including Great and Premium balls, to aid you with the particularly stubborn ones. When using a detached Joy-Con, or the Pokeball Plus, you throw your arm out towards the TV as though you're casting the thing in real life. In handheld mode it's a bit easier, letting you move your Switch around to line up a shot and poke a button to throw. The colour of the shrinking circle tells you how tough the critter you're trying to catch is, with red being the hardest, green being the easiest, and yellow being in the middle. Battling trainers is exactly as you'd expect. Your Pokemon has a particular set of moves depending on its type and you need to use the right ones against your opponents. 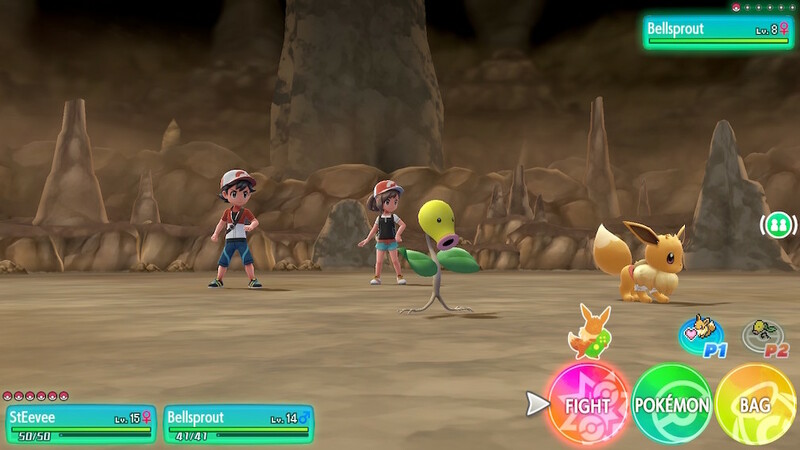 You can get a leg up in battle by picking a Pokemon type your opponent is weak against, like grass against rock, but you've also got potions and all sorts to help your fighters out in a pinch. This is a huge game, bigger than you might realise off the bat, and it offers something for both solo and social gamers. 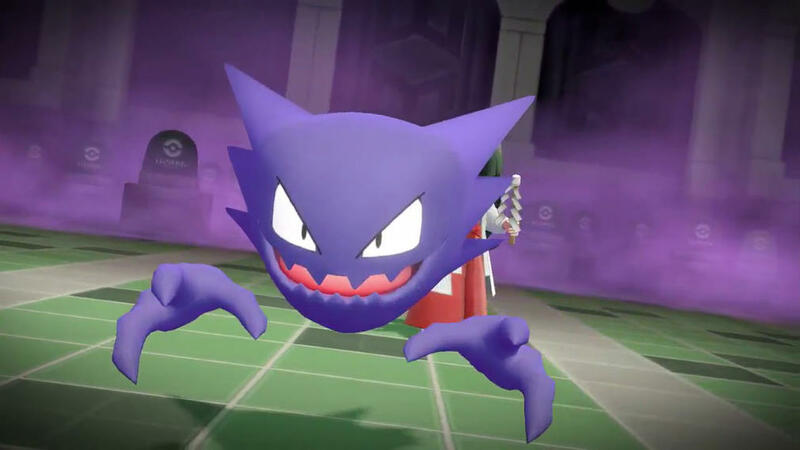 When you connect with pals in-game, you can battle them or trade Pokemon to complete your Pokedex, much like how you can move your catalogue from Pokemon GO into the game. Where things get really interesting, however, is in local co-operative play. The joining system is easily the best I've seen yet in a Switch game, requiring you to merely pick up the spare Joy-Con and shake it to join. Another player falls out of the sky and off you go. If you've had enough, you just shake it again and the second player disappears. Initially when playing with two players, the odds are going to feel wildly off in battle. Since you've got two rounds of moves and, most of the time, your opponent only has one, you can defeat them pretty quickly. Though, as my buddy pointed out, if you played the game in co-op the whole time resources would be used up quicker. And some battles are pretty darn hard by themselves, so a little back up doesn't go amiss. There are lots of items that benefit your Pokemon to find and use throughout the game. By battling special trainers along the way you can earn TMs. These let you teach your Pokemon special moves, giving them a chance to change up their battle style. 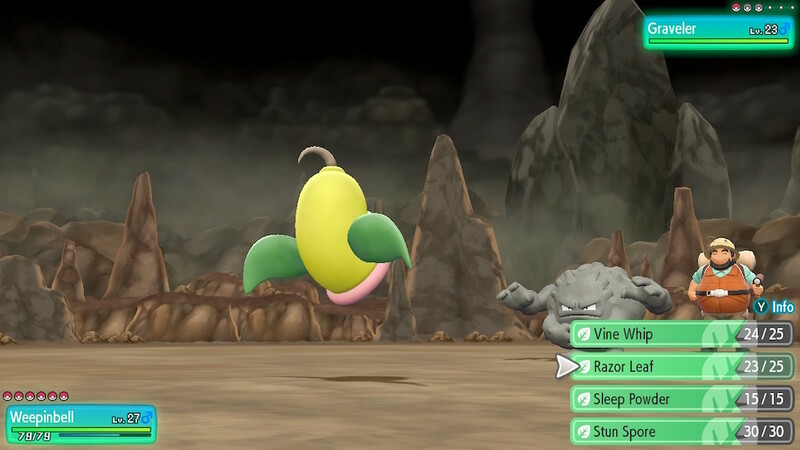 I know you earn moves naturally as you go, but if you've got a Pokemon with a lot of defence and not much attack, the TMs can come in really useful. Candies help out in a smaller way. By collecting Candies, or receiving them from Professor Oak when you send him Pokemon, you can upgrade your party Pokemon's stats. Mostly these only increase one point at a time, but Rare Candy lets you jump a whole level. It's hard to fit in everything I want to say about Pokemon: Let's Go! into so few words, I could babble on for another thousand yet, but I will say that it took a while to grow on me. I missed out on the games when I was younger, and the constant repetition of catching Pokemon, battling, and repeating became more tedious than nostalgic. The motion control throwing system can also be wildly off at times, especially when Pokemon move away from the centre of the screen. But as the days went past and the hours ticked by, I found it hard to stop playing. Is it the RPG everyone has been waiting for? Well, that depends on what you're waiting for. If you're waiting for an upgraded version of Pokemon Yellow, you've got it in spades here. If it's an open-world RPG you're after, you might find this entry a little bit clinical for your tastes. Pokemon: Let's Go! has a lot of offer on the whole. It's family friendly and makes it easy to pick up with a pal, meaning that parents can jump on to help out their kids and leave when needed. It's also brimming with charm, character, and animations that you can't help smiling at. I've got no doubt you'll enjoy the game if you pick it up, but how long for depends on how much you loved the classic era of the Pokemon franchise.